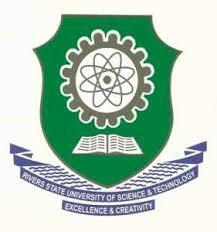 The Rivers State University, RSU Sandwich Undergraduate Degree Admission Form, Courses, Entry Requirements and Guidelines, Closing Date for 2017/2018 Academic Session. Applications are invited from interested and suitably qualified candidates for admission into Sandwich Undergraduate Programme of the Rivers State University, Port Harcourt leading to the award of B.Sc. Degree for the 2017/2018 Academic Session. Applicants are accordingly advised to log onto the University Website http://www.rsu.edu.ng/ or via the RSU E-portal ecampus.rsu.edu.ng and make e-payment by generating a transaction id on the University Website for the fee and proceed to any of the designated Banks to pay, using the Pay Direct Bank Branch option or using Interswitch Verve enabled cards. Closing Date: The closing date for application is 12 midnight on Friday, 13th July, 2018. Lecture Commencement Date: Lecture commences on Monday 23rd July, 2018.